Online auction site eBay is facing an international storm of outrage after it was revealed to be profiting from the repulsive trade in Holocaust memorabilia. It was one of dozens of offensive items uncovered by a Mail on Sunday investigation. And within hours of being alerted to the item by this newspaper, eBay removed it from sale after conducting an ‘urgent investigation’. The internet giant apologised and vowed to give £25,000 to a suitable charity, before removing more than 30 other death camp souvenirs which it said had evaded its strict vetting process. eBay, the world’s largest online marketplace, admitted it had no idea how long it has been helping sell items linked to genocide, but one Nazi memorabilia dealer boasted of selling an Auschwitz victim’s uniform for thousands of pounds on the site last year. The company receives a commission on items sold, as well as charging a listing fee. Last night Holocaust survivors, politicians and campaigners around the globe reacted to The Mail on Sunday’s findings with revulsion and disbelief. Eva Clarke, 68, from Cambridge, who was born in a concentration camp in 1945 and lost 15 members of her family at Auschwitz-Birkenau, said: ‘I am at a loss for words how a mainstream site like eBay could profit from this. Culture Minister Ed Vaizey said: ‘I applaud The Mail on Sunday for exposing this vile and repulsive trade. A pair of shoes belonging to a death camp victim advertised for £940. Yellow Star of David armbands singling out Jews for persecution. A Holocaust victim’s battered suitcase priced at £492. A £145 ‘concentration camp toothbrush’. Meanwhile, other sites were offering gas chamber ‘handles’ adorned with swastikas from Dachau concentration camp in Germany. 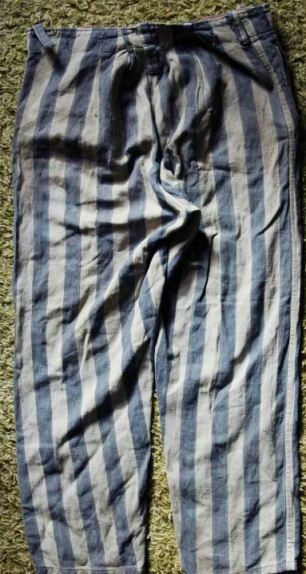 The most offensive item on eBay was a complete Auschwitz prisoner uniform, including striped shirt, trousers, cap and wooden shoes, with the seller including an armband from Dachau along with the sale. he item was accompanied by a haunting image of a pile of garments from camp victims. The seller, Viktor Kempf, a Ukranian now living in Vancouver, Canada, claimed the uniform once belonged to a ‘Wolf Gierson Grundmann’ whose serial number ‘9489’ is stitched to the breast of his shirt. 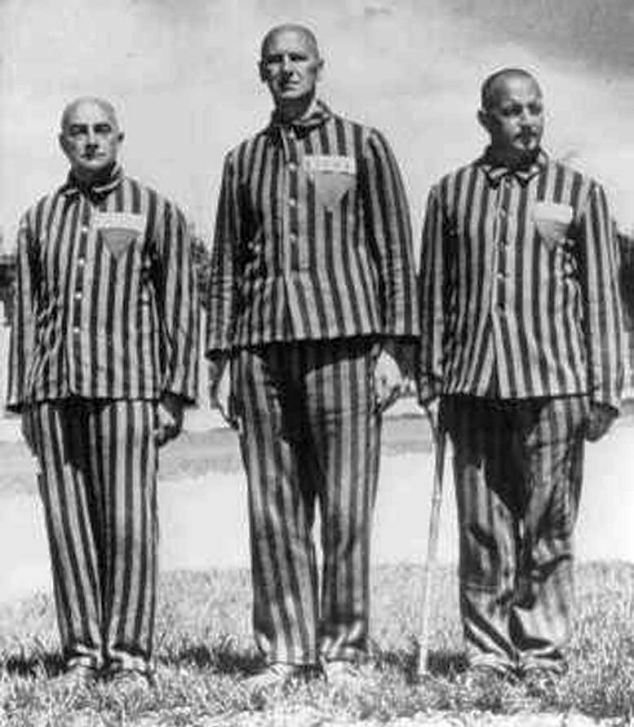 Mr Grundmann’s name can be found on a database of concentration camp victims held by the Yad Vashem centre for Holocaust research in Jerusalem. It says Mr Grundmann was born in 1912 and lists his occupation as ‘baker’.